A Sunday pull-back is becoming almost regularity in the crypto markets and a red Monday morning is the result. Bitcoin made it to a weekly high of $11,300 before cooling off a little and retreating back to $10,600 where it currently trades. The correction has taken all of the altcoins with it and most are in the red during the Asian trading session this morning. To find one that is performing well we need to leave the top 25 once more and go further down the chart. Nothing really stands out in the top 50 which takes us all the way down to 71 and a token called Polymath which is trading 16.3% higher. This newcomer to the altcoin world is trading at $1.35 up from $1.11 yesterday while all others are in decline. 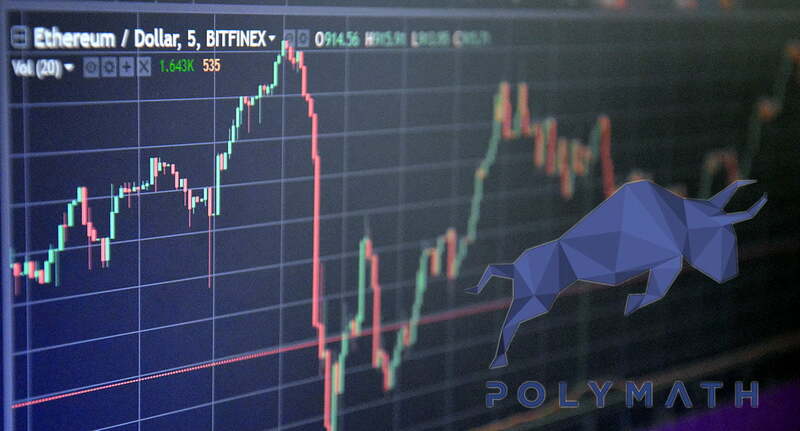 Polymath is a securities based token which aims to allow them to be migrated to the blockchain. According to the white paper, which has only been published this month, Polymath provides a decentralized protocol for trading security tokens enabling s individuals and institutions to authenticate their identity, residency, and accreditation status to participate in a wide range of security token offerings. Using the network organizations and companies can launch ST20 tokens that are already automatically legally compliant and regulated security tokens. Tickets for their up and coming Polycon security token conference in the Bahamas have already sold out. Interest in POLY, which has only really been traded on the Kucoin exchange since early February, spiked on the 12th. Current market capacity sits at $318 million and there are 1 billion POLY tokens available with 239 million currently circulating. The only cryptocurrency in the top 25 showing a slight gain this morning is Ethereum Classic, up 0.75% to $34.39.